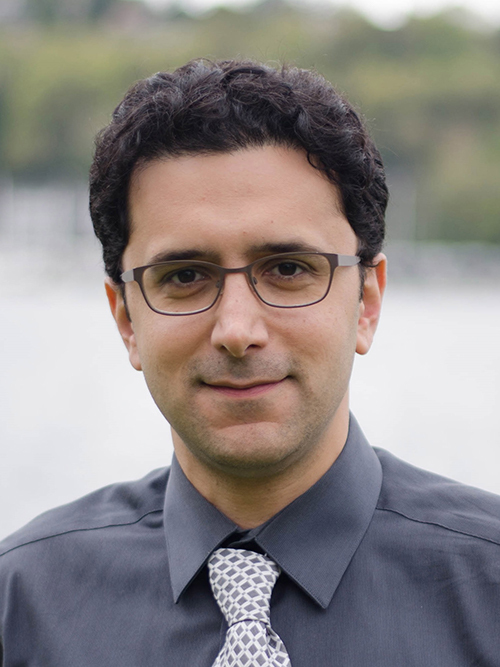 Ali Rowhani-Rahbar is the Bartley Dobb Professor for the Study and Prevention of Violence at the University of Washington. He is the Violence Prevention Section Leader at the Harborview Injury Prevention & Research Center. His epidemiologic studies have spanned across multiple forms of violence including firearm violence, youth violence, bullying, child maltreatment, intimate partner violence, and suicide. Dr. Rowhani-Rahbar investigates violent victimization and perpetration with an integrated public health and public safety approach. His research on inter-personal violence is specifically focused on the nexus of trauma and crime to inform interventions that prevent violence from occurring in the first place, promote healing following violence, and reduce recidivism. His research on self-directed violence is specifically focused on means safety. Dr. Rowhani-Rahbar has served on the American College of Emergency Physicians Technical Advisory Group on Firearm Violence Research, Firearms Subcommittee of Washington State Safer Homes Task Force for Suicide Prevention, and editorial board of the journal Injury Prevention. He has also served as an elected member of the Board of Directors of the Society for Advancement of Violence and Injury Research. Dr. Rowhani-Rahbar co-teaches EPI 512 "Epidemiologic Methods I" in the Autumn Quarter and EPI 513 "Epidemiologic Methods II" in the Winter Quarter. Dr. Rowhani-Rahbar has a special interest in epidemiologic methods pedagogy. He is the Chair of the Department of Epidemiology’s Curriculum Committee and a member of the Education and Professional Development Committee of the Society for Epidemiologic Research.